Potterheads, GoT Fans… These Makeup Products Are Made For YOU! Hear hear, all the Potterheads, GoT fans and the girls who always wanted to be a part of The Plastics. A few makeup companies have come up with the makeup products inspired by your favourite stories and movies. How cool is that? We are SO excited about these gorgeous makeup products - from dragon lipsticks to wand makeup brushes, these makeup collections have it all for you. Go, check it out, now! Who needs the iron throne when we have uber cool Game Of Thrones makeup brushes? The makeup brand, Catch 96 has come up with GoT inspired makeup brushes, how awesome is that? Each set of the brushes are available in four finishes: rose gold, copper, silver and bronze. The brushes are synthetic and represent each of the houses. FYI, it’s a limited edition, so hurry! Apart from these brushes, you can also add dragon lipsticks to your collection. The makeup line, Storybook Cosmetics has come up with oh-so-cute dragon lipsticks. These too, are available in three types of packaging: silver, rose gold and golden. Ready to be the Mother of Dragons, eh? If you’re a 90s kid and spent most of your teenage years, trying to make ‘fetch’ happen, then you’re going to be one happy woman! Spectrum Collections has come up with a set of 10 ‘Mean Girls’ makeup brushes along with a Burn Book pouch. The pouch can also make for a cute bag. You can choose from the fetch brushes to the burn book bag and join the plastics. Are you a Potterhead? 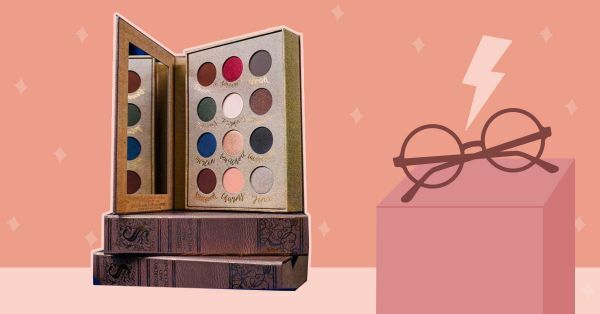 Storybook Cosmetics has come up with different makeup products for all the Harry Potter fans out there. From a Wizardry and Witchcraft eyeshadow palette to wand makeup brushes, there’s everything for the fans out there. This gorgeous eyeshadow palette is made in the form of a Witchcraft book and the shades have amazing names like: Charms, Broomstick, Potions, Bewitched, et al. There is also a set of five limited edition wand brushes ; each set includes a flat liner brush, tapered blending brush, flat shades and a blending brush. They come in a pouch, too! Don’t these shades look absolutely gorgeous and highly pigmented? Moreover, the palette looks beautiful with the rose gold makeup brushes. To add some more magical products to your collection, this makeup line is soon coming up with gorgeous lipstick shades and you’ll want ALL of them. So, wait for it! Lastly, this genius makeup collection also has a quill and ink eyeliner. We’re calling all the muggles out there (and cute witches) to own these awesome beauty products! So, what will you buy first?